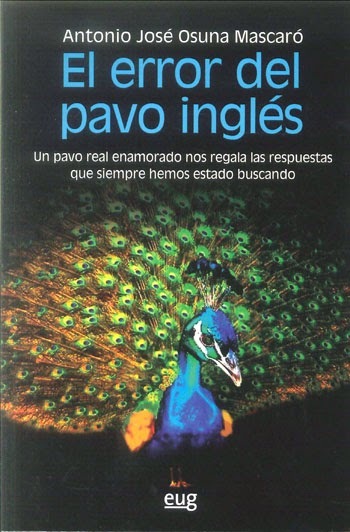 Aristóteles decía que el hombre es el animal político, y la sabiduría popular nos habla de un ser social. La tensión que existe entre nuestras tendencias individualistas y nuestra necesidad de formar parte de grupos, está en el origen de casi todos nuestros conflictos fundamentales. Somos, en efecto, animales políticos, puesto que defendemos y ejercemos nuestros derechos, reales o figurados, inalienables o adquiridos. Y somos un animal social, puesto que hacemos esta defensa en un ámbito social, del que formamos parte indisociable. Como dijera Hobbes, originalmente tenemos derecho a todo. Y esto hace nuestras sociedades inestables, aunque no tanto como el todos contra todos hobbesiano, y a un tiempo, y en parte por ello, enormemente ricas y creativas. Nada de esto sucede en otra sociedades animales, cuya indisociabilidad social hace pensar más en un superorganismo que en una sociedad propiamente dicha. Por ejemplo las sociedades de hormigas, estudiadas por Edward O. Wilson, o las de abejas, que inspiraron los trabajos seminales de Hamilton sobre el altruismo. Estos grupos difieren de los nuestros en que jamás dieron origen a un individuo genuino, todo lo más a especialistas al servicio del todo, más parecidos en cuanto a capacidad de sacrificio y servicio a las células de un organismo multicelular que al propio organismo, como unidad de selección. Nuestros conflictos y nuestra capacidad de solventarlos, de crear alianzas, jerarquías, identidades, status quo, y de trabajar por el bien del grupo, también pueden apreciarse en nuestros parientes más cercanos, los chimpancés, como pone de manifiesto el trabajo de algunos eminentes primatólogos (Frans de Waal, por ejemplo). Nuestra mente y nuestro comportamiento, con estas hondas raíces evolutivas, son objeto asimismo de estudio. La psicología evolucionista trata de desentrañar, entre otras cosas, los mecanismos mentales de los que disponemos para el trato social a la luz de la evolución (sin la cual “nada tiene sentido en biología”, ni lo tiene por completo en sociología). En esto, la labor de nuestra invitada de hoy, la Psicóloga social y evolucionista Linnda Caporael, es pionera. Defensora desde hace bastante tiempo de las ideas ahora cada vez más aceptadas de la selección multinivel, no ha querido casarse nunca con el reduccionismo genético ni con el culturalista, a la hora de tratar de explicar nuestra naturaleza. La naturaleza humana debe entenderse como un frágil equilibrio entre tendencias sociales e imperativos individuales, y no como una marioneta de impulsos biológicos primarios o de consignas, imposiciones y seducciones culturales acríticamente aceptadas por un receptáculo pasivo y moldeable de dictados, por una tabla rasa. Este enfoque de equilibrio sitúa asimismo a Caporael, entre sus colegas evolucionistas, en otro difícil equilibrio, ya que el punto de vista del gen, que es el que ha prevalecido en la psicología evolucionista, le parece insuficientemente explicativo. Linnda Caporael ha desarrollado una intensa labor investigadora. En su trabajo teórico y empírico ha abordado “la biología desde una perspectiva cultural y la cultura desde una perspectiva biológica”. Se ha interesado por la evolución de la sociabilidad humana, por el poder del grupo sobre los individuos que lo forman, y por el de estos individuos sobre el grupo. La Profesora Elena Gaviria, también psicóloga social y evolucionista, ha preparado unas preguntas para Linnda Caporael. Agradecemos muchísimo a ambas la interesante entrevista que nos brindan. 1. Evolutionary theory, rejected for a long time by social scientists as an explanation for human mind and behaviour, seems to be increasingly accepted, even popular. What is, in your opinion, the reason for this change? This is a good question, and the answer is probably more complex than it first appears. Since Darwin, there has always been a thread of evolutionism in theories of mind and behavior. Bob Richards wrote a terrific book describing this history, including the ups and downs. In general, neither psychologists, or for that matter even cultural anthropologists, such as Clifford Geertz, have rejected evolution, so much as genetic determinism, particularly for intelligence and intergroup behavior. Evolutionary psychology, as descended from sociobiology, however, is distinctive. Its proponents claim an exclusive specialty within psychology, and have a dedicated ingroup to move the agenda along. Public popularity matters, too. The New York Times popularized evolutionary psychology so much that you could read about it in the fashion section of the paper. Popular culture has always been a problem for Darwinism. John Maynard Smith, a well-regarded evolutionist, put his finger on it in the heyday of sociobiology. He wrote that he sometimes couldn’t tell the difference between evolutionary theory used as myth and as science. About the same time, Misia Landau published an important article about making the distinction. Her analysis of a number of evolutionary scenarios by well-known (and now deceased) paleoanthropologists shows that scientific scenarios had significant features in common with well-known popular folk tales. Landau’s work had an immediate impact in anthropology, and for years I have argued that we need to consider human evolutionary science as a “hybrid science.” We need heuristics for developing competent scenarios refined by research in psychology and by more reflective and critical input from people in philosophy, humanities, and other interpretive disciplines. I realize that the last sentence will give some scientists heart attacks, but if it leads to better, more creative science, then do it! Scientists are human and they do not live in a social vacuum. 2. Both ethology (e.g., Robert Hinde), and sociobiology (e. g., Edward Wilson) tried to assert the explanation of our social behaviour in evolutionary terms. Do you think evolutionary psychology has succeeded where they failed? Not really. Evolutionary psychology, which E. O. Wilson claims is sociobiology under a different name, certainly has the advantage of a high public profile. One way to assess its success is to compare it with other academic endeavors that came on the intellectual scene about the same time. For example, contrast women’s studies, which like sociobiology, had high visibility, with plate tectonics, which caused a dramatic shift in thinking in the geological sciences, much as sociobiology and evolutionary psychology hoped for the social sciences and psychology. In both comparisons, evolutionary psychology does not do that well. No one could deny that the intellectual and public impact of women’s studies has been much greater than evolutionary studies, and while plate tectonics isn’t weekly news in the papers, it is a thriving cumulative science with high scientific consensus internationally. There is more mention of evolution in psychology journals than there was 10 years ago, and evolutionary psychology can take the credit for that, but these mentions tend to be more along the lines of justifications for the importance of the main thrusts of the article. While the future of evolutionary psychology may not be that great, there is no denying its influence on emerging endeavors. Evolution is well-represented in some excellent interdisciplinary venues, such The Center for Social Dynamics and Complexity at Arizona State University. By the way, ethology has hardly failed. True, it’s a more vibrant discipline in Europe than in the United States, and that, I think, is a loss for the U.S. The interplay of careful naturalistic observation and laboratory research sets an example for good research design and theory. I wish there was more of that in the human sciences generally. 3. 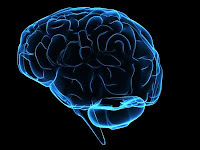 As you explain in one of your papers, the term "evolutionary psychology" includes many different approaches to the evolutionary study of human mind and behaviour, although it is usually associated with the work by Buss, Cosmides, Tooby, and others, who defend the "gene's-eye view". How could this confusion be avoided? Is there a need for a new term? In the end, the term “evolutionary psychology” makes sense to me only as part of a larger interdisciplinary endeavor that might be called human evolutionary science. It would bring together anthropologists, historians, philosophers of biology, computer scientists and other specialists where data, theory and interpretations of both could be shared, tested and debated. 4. 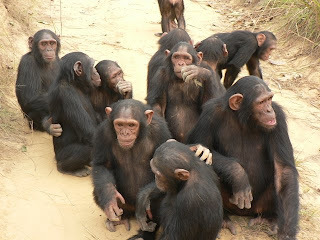 For many years you have been defending that the evolution of human mind and behaviour has been guided by the need for coordination among group members and not, as mainstream evolutionary approach asserts, only by genetic selfishness and competition for resources. What is the basis of your argument? The short answer: just look at the body. Humans are unable to reproduce and survive to reproductive age in the absence of a group. They lack defensive canines or armor; they are slow on foot; and unwieldy when pregnant. They are dependent on knowledge that is discovered, manufactured, tested and shared across generations. There are morphological limits to how fast a human can run from a predator or walk in search of food. There are limits to group size: a group can risk starvation by being too big and consuming all the food in sight, or by being too small and not having enough people to work at getting food. The long answer starts with metaphors. The “needs” of organisms or species do not guide evolution. Evolution is a statistical result of iterative conditions of development and interactions with environments. There is no agent that “selects” or “favors,” and, although he used it, Darwin himself was distressed by this anthropomorphism. There’s a long history of using metaphors for talking about evolution, and yet very little understanding among biological scientists about how language works in shaping speech and understanding. We understand the problem much better in social psychology because of research showing that just the way we ask a question shapes the answer. So “genetic selfishness” is a metaphor, but what does it mean concretely? For a huge number of reasons including a big dose of luck, some genes replicate more than others in a population of interest. End of story. Population genetics, which is the source of the current neo-Darwinian definition of evolution, is about transmission genetics. It does not tell us anything about bodily form or behavior. It concerns changes in gene frequencies in a population from generation to generation. This approach has been valuable in biology, and certainly potentially constrains human evolutionary theory, too. But transmission genetics itself offers very little to the understanding sociality. 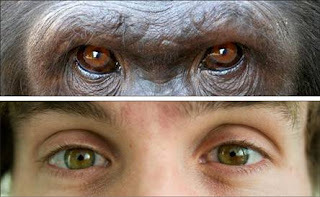 The “gene’s eye view” of evolution is below the level of the organism. It makes no distinctions between amoeba, oysters or humans, much less whether they are phenotypically social. We can give an “evolutionary explanation” of phenomena given what we know—or think we know—about oysters and humans, but that’s mostly an exercise. This doesn’t mean that the theory is wrong; it means that gene selectionism is at the wrong level of analysis for human psychology. We need to turn to multi-level selection theory—that is, selection occurring at organismic, and even group levels, of organization. If we go to multi-level selection, and the level of analysis that concerns us, we can note, in much the same way E.O. Wilson notes about his ants, that humans are unable to reproduce and survive to reproductive age in the absence of a group. Ant coordination is partly the result of their interesting genetic constitution (haplodiploidy). Human coordination is not. The central problems for human evolutionists are details about the origins and maintenance of coordination (the integration of diverse elements of people, activity and things into a harmonious operation). This is another level of analysis. It does not exclude genes, but neither does it focus on genes. My bet is that the origins of coordination are far less exciting than the evaluation of costs and benefits. The origins may be a simple failure of kin groups to disperse. 5. How have we become the way we are? Do you think our evolution stopped in the Pleistocene? Are we stone age-brained beings living in an environment to which we are not adapted? 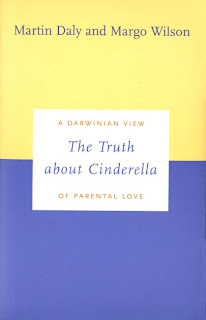 Is there a mismatch between ancient mechanisms and the current environment which explains some inadaptive behaviour in contemporary humans (eg., Daly & Wilson's "Cinderella effect")? The idea of having a stone-aged brain in a modern skull is vivid, comic and memorable, but I don’t get the point. Think about it. If we had a 'stone-aged mind,' wouldn't we still have a stone age world and a stone-age lifestyle as do chimpanzees, walruses, and just about any other animal? Obviously, the reverse is the case: We have modern minds in stone age bodies. 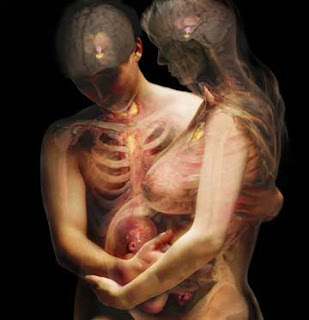 Our material bodies acting in a material world are among the best clues we have to the past. There should be much more attention to what we can learn by focusing on activity, a conjunction of body, environment and 'mind.' Western psychology labors under a dualism of mind and body, which scholars who study embodied cognition are starting to challenge. In ethology, one pays a great deal of attention to bodies and we interpret the significance of the activity of animals. Notice that we attend to much more than just the "behavior." Darwin's discovery of natural selection owes something to watching the embodied activity of animals. Nevertheless, Darwinists in psychology advocate an evolutionary sequence that goes thus: “natural selection-->psychological mechanisms-->behavior” (Cosmides & Tooby, 1987, p.281--the book is edited by Dupre, The Latest on the Best). This just doesn't make sense --natural selection "can't see" psychological mechanisms, it can only see bodies in motion (activity). Perhaps by paying more attention to the organism-in-setting we could learn more about the mind. The third assumption is that genes are the explanation for all potential stability over time. Even if we were to grant all the assumptions that had to do with presuming continuity between present and past and the psychic unity of mind, there are other explanations for stable traits. For example, every human and its hominid forbears has to have a caregiver for the first years of life. "Having a caregiver" is not a genetic trait, but it is universal across time and space and repeatedly assembled in the human developmental system. So some of the things we want to attribute to genes might be attributable to a constancy in the body-environment relation. We can add a fourth objection to the stone-age mind story: how would we know? We have no idea what "minds" would have been like even 20,000 years ago. The so-called Cinderella effect can not be taken as evidence of a mismatch between the ancient past and the modern present. There is a very thorough analysis in David Buller's book, which is a methodological critique of evolutionary psychology. For example, there is evidence that when an injured child is brought to the attention of the authorities, having a step-parent in the household is part of the determination of whether the injury is a result of child abuse. There's another simple alternative explanation for the effect as well, which cannot be determined from the kind of data that Wilson and Daly are using: What is the child doing? It seems likely that a step-child does not welcome a new parent replacing the former parent or that the primary caregiver’s relationships are unaltered by the change. 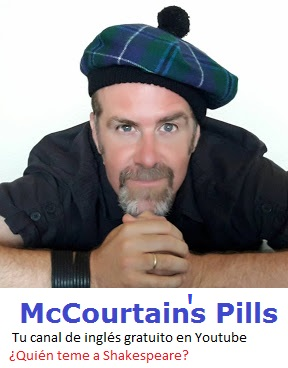 My deeper concern about the conception of mind prescribed in the caricature of the "stone-age mind" is that our object of analysis really is not "mind" at all, but rather a vague notion drawn from our own Western ethnopsychology--or folk psychology. In that case, evolutionary psychology will eventually founder, as Darwinian theories of mind have repeatedly done. To be able to really use evolutionary theory, we have to recognize that, intellectually, our understanding of mind, body and activity is like the pre-Copernican view of cosmology. Enormous progress had been made in collecting astronomical data in the 2000 years prior to Copernicus, but it took seeing the world in a new way, as revolving around the sun, to make a science of star-gazing. 6. From your sociality hypothesis, based on the need for coordination and interdependence among group members, how can you explain such usual things as deception, selfishness, free-riding, or any behaviour damaging others? There is no contradiction here. The most aggressive interpersonal or intergroup conflicts still require considerable coordination to get to the fighting place, to land blows on other bodies and so on. Sociality does not imply prosociality or altruism. Another way of looking at this is that there are two levels of selection involved, individual and group levels. And, consider, even groups with relatively high resources, have limits on how much selfishness, deception and free-riding will be tolerated. A remarkable amount is tolerated (particularly when force is involved), but there are always limits. 7. A relevant issue for anyone trying to explain social behaviour in evolutionary terms is the relation between biology and psychology. What is your view on this matter? 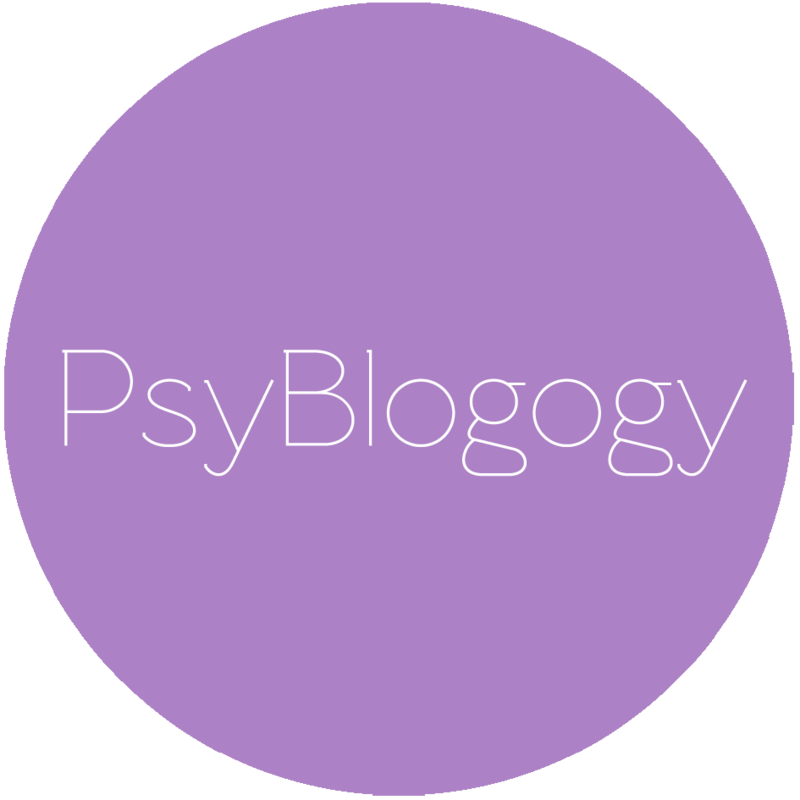 Should psychological theories be biologically based? Is biology necessary or sufficient to explain our social psychological processes? Good question. Again, if we turn to a consideration of the body and the limited fossil evidence available, it seems that human biology, psychology and culture are co-evolving, although the temporal scales and cycles differ. As an example, consider the changes in the body between early forms of Homo species and Homo erectus. Homo habilis has a small brain, narrow shoulders, and a barrel shaped gut. Homo erectus—now that species looks like a relative: big-brained, broad shoulders, and a comparatively dainty gut. A compelling explanation for this shift in pattern is the “expensive tissue” hypothesis proposed by Leslie Aiello. Increased hunting is associated with greater and more regular access to protein, which provides energy that can facilitate brain growth at the expense of the digestive system, which has reduced requirements since protein is easier to digest than many plant foods. Biology, psychology and culture are part of a package of concerted evolutionary changes. 8. From an observer's point of view, your scientific career seems not have been smooth. First, social scientists should have rejected you due to your Darwinian tendencies. Furthermore, evolutionary scientists should have thought of you as a traitor who questions the sacred gene's-eye view. Have you ever felt excluded by your colleagues because of your ideas? I can see how it might look like that from an observer’s point of view, but surprisingly, I’ve been a beneficiary of smart and generous colleagues across disciplines from the start of my academic life. My referees for tenure and promotion through the ranks have come from mostly from psychology, biology, and philosophy, and they have had to convince sociologists, anthropologists, philosophers and political scientists in my department. My work tends to be problem-centered rather than disciplinary-centered, so my goal is always to achieve a high level of coherence and that may help to transcend different disciplines. 9. What are your research topics now? By now, it shouldn’t be a surprise: I’m turning to embodiment and to design. “Embodiment” is the new evolution in the sense that it’s a faddish term, but Western culture has ignored the body-in-setting (as opposed to the functional bits and pieces) as part of the separation of body and soul or body and mind. From an evolutionary perspective, it’s fascinating because what natural selection “sees” is the body-in-setting—not cognitive mechanisms or body parts (which is our analytic strategy, not a natural kind). So what does the body tell us about the mind? The body does tell us some things about design. Chopsticks come in pairs; I don’t think that they can come in triads because of the constraints of the body. So I wonder if observing design and the fit—and misfits—with the body also tells us something about the mind. How do we use technology to change what we can do and how we humans reconstruct the possibilities of what it means to be human. I also have a crass reason for the interest in design. I fell into teaching the social science part of a multidisciplinary design course, and it has been the most fun and rewarding teaching experience imaginable. 10. Is there any topic you would specially like to study in the future? Oh, yes, at least a few hundred. Do you really want a list? 1. Los planteamientos evolucionistas, largo tiempo rechazados por los científicos sociales como ajenos a la mente y la conducta del ser humano, parecen estar ahora de moda. ¿A qué cree que se debe este cambio? Es una buena pregunta, y la respuesta es probablemente más compleja de lo que parece. Desde Darwin, ha habido siempre un componente de evolucionismo en las teorías de la mente y la conducta. Bob Richards escribió un libro estupendo en el que describe esa historia, incluyendo sus altibajos. En general, ni los psicólogos ni siquiera los antropólogos culturales, como Clifford Geertz, han rechazado la evolución, sino más bien el determinismo genético, en especial en lo que se refiere a la inteligencia y a la conducta intergrupal. Ahora bien, la psicología evolucionista, como descendiente de la sociobiología, es diferente. Sus defensores reivindican una especialidad exclusiva dentro de la psicología, y forman un grupo entregado que difunde su programa. Además, la popularidad entre el público tiene su importancia. El New York Times popularizó la psicología evolucionista hasta el punto de que se podían leer artículos sobre ella en la sección de moda del periódico. La cultura popular ha sido siempre un problema para el darwinismo. John Maynard Smith, un evolucionista bien considerado, dio en el clavo cuando, en pleno apogeo de la sociobiología, escribió que a veces era incapaz de distinguir cuándo la teoría evolucionista era utilizada (por los sociobiólogos) como mito y cuándo la empleaban como ciencia. En torno a la misma época, Misia Landau publicó un importante artículo sobre esa diferencia. El análisis que ella hizo de diversos escenarios evolutivos descritos por famosos (y ya fallecidos) paleoantropólogos muestra que los escenarios científicos tenían rasgos significativos en común con conocidos cuentos populares. El trabajo de Landau tuvo un impacto inmediato en antropología, y yo llevo años planteando que tenemos que considerar la ciencia evolucionista humana como una “ciencia híbrida”.” Necesitamos métodos heurísticos para desarrollar escenarios competentes refinados por la investigación en psicología y por aportaciones más reflexivas y críticas de personas formadas en filosofía, humanidades y otras disciplinas interpretativas. Soy consciente de que esta última frase provocará un infarto a algunos científicos, pero si lleva a una ciencia mejor y más creativa, ¡adelante! Los científicos son humanos y no viven en un vacío social. 2. Tanto la Etología de Hinde como la Sociobiología de Edward Wilson intentaron, sin mucho éxito, hacer valer la explicación de nuestro comportamiento social en términos evolucionistas. ¿Cree que la Psicología Evolucionista ha triunfado donde aquellos fracasaron? En realidad, no. Es cierto que la psicología evolucionista, que según E. O. Wilson afirma, es sociobiología con otro nombre, tiene la ventaja de su popularidad entre el público. Una forma de evaluar su éxito es compararla con otros esfuerzos académicos que llegaron a la escena intelectual en torno a la misma época. Por ejemplo, si la comparamos con los estudios de género, que, como la sociobiología, tuvieron mucho eco, o con la tectónica de placas, que provocó un cambio dramático en el pensamiento dentro de las ciencias geológicas, muy parecido al que la sociobiología y la psicología evolucionista esperaban causar en las ciencias sociales y en la psicología, en ninguna de las dos comparaciones la psicología evolucionista sale muy bien parada. Nadie puede negar que el impacto intelectual y público de los estudios de género ha sido mucho mayor que el de los estudios evolucionistas, y aunque la tectónica de placas no es noticia en los periódicos todas las semanas, es una ciencia próspera que va acumulando conocimientos y con un elevado consenso científico a nivel internacional. Hay más referencias a la evolución en las revistas especializadas de psicología que hace 10 años, y la psicología evolucionista puede apuntarse el mérito en ese sentido, pero esas referencias tienden a ser del estilo de justificaciones de la importancia de los objetivos del artículo. Aunque el futuro de la psicología evolucionista puede no ser tan brillante, no se puede negar su influencia en algunos proyectos que están apareciendo. La evolución está bien representada en algunas organizaciones interdisciplinarias excelentes, como el Centro para el Estudio de la Dinámica y la Complejidad Social (Center for Social Dynamics and Complexity) de la Universidad Estatal de Arizona. Por cierto que la etología no ha fracasado en absoluto. Es verdad que se trata de una disciplina más viva en Europa que en Estados Unidos, y eso, en mi opinión, es una pérdida para Estados Unidos. La combinación de meticulosa observación naturalista e investigación de laboratorio constituye un ejemplo de excelencia en el diseño de investigación y en la teoría. Ojalá hubiera más ejemplos como ese en las ciencias humanas en general. 3. Como usted explica en uno de sus artículos, el término “psicología evolucionista” abarca formas muy diferentes de abordar la evolución de la mente y la conducta humanas, aunque la mayoría de la gente lo relaciona con los planteamientos de Leda Cosmides, John Tooby, David Buss, etc. ¿Sería conveniente sustituir esa etiqueta? ¿Cuál es su opinión sobre este tema? En definitiva, el término “psicología evolucionista” para mí sólo tiene sentido como parte de un esfuerzo interdisciplinario más amplio, que podría denominarse ciencia evolucionista humana, y reuniría a antropólogos, historiadores, filósofos de la biología, científicos de la informática y otros especialistas. En esa ciencia los datos, la teoría y la interpretación de ambos podrían compartirse, someterse a prueba y debatirse. 4. Usted lleva muchos años defendiendo, teórica y empíricamente, que la evolución de la mente y la conducta humanas ha estado guiada por la necesidad de coordinación entre los miembros del grupo y no sólo, como sostiene la corriente evolucionista dominante, por el “egoísmo genético” y la competición por los recursos. ¿En qué se basa su planteamiento? 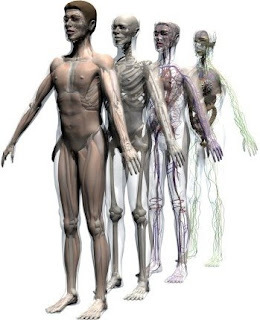 La respuesta corta sería: mira simplemente nuestro cuerpo. Los humanos somos incapaces de reproducirnos y de sobrevivir hasta la edad reproductiva en ausencia del grupo. Carecemos de caninos o de un blindaje que nos sirva de defensa; somos demasiado lentos para escapar, y nos cuesta manejarnos con agilidad durante el embarazo. Dependemos de los conocimientos descubiertos, manufacturados, probados y compartidos a lo largo de generaciones. Existen límites morfológicos en cuanto a la velocidad con que un ser humano puede escapar de un predador o andar en busca de alimento. También hay límites para el tamaño del grupo: un grupo puede correr el riesgo de morir de hambre si es demasiado grande y consume todo el alimento disponible, o si es demasiado pequeño y no cuenta con personas suficientes para trabajar en conseguir comida. La respuesta larga comienza con metáforas. Las “necesidades” de los organismos o de las especies no guían la evolución. La evolución es un resultado estadístico de iteraciones en las condiciones de desarrollo y en las interacciones con el ambiente. No hay ningún agente que “seleccione” o “favorezca”, y, aunque Darwin utilizaba esta metáfora, él mismo se sentía incómodo con este antropomorfismo. Hay una larga historia del uso de metáforas para hablar de la evolución, y sin embargo muy poca consciencia entre los científicos biológicos sobre la forma en que el lenguaje moldea lo que se dice y lo que se entiende. En psicología social somos mucho más conscientes del problema gracias a la investigación que muestra que simplemente la forma en que planteamos una pregunta moldea la respuesta. Por tanto, “egoísmo genético” es una metáfora, pero ¿qué significa exactamente? Por una ingente variedad de razones, incluyendo una gran dosis de suerte, algunos genes se replican más que otros en una población de interés. Fin de la historia. La genética de poblaciones, que es la fuente de la actual definición neo-darwinista de la evolución, trata de la transmisión genética. No nos dice nada sobre la forma del cuerpo o la conducta. Se ocupa de los cambios en la frecuencia de genes en una población de generación en generación. Este enfoque ha sido valioso en biología, y sin duda limita la teoría evolucionista humana también. Pero la transmisión genética en sí misma ofrece muy poco para comprender la socialidad. La “perspectiva del gen” al explicar la evolución se sitúa por debajo del nivel del organismo. 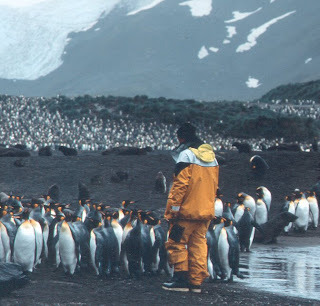 No establece distinciones entre las amebas, las ostras y los humanos, y mucho menos distingue si son o no fenotípicamente sociales. Podemos dar una “explicación evolucionista” de los fenómenos dado lo que sabemos—o creemos saber—sobre las ostras y los humanos, pero será más que nada un ejercicio. Eso no significa que la teoría sea incorrecta; significa que el seleccionismo de los genes no es un nivel de análisis apropiado para la psicología humana. Tenemos que recurrir a la teoría de la selección multi-nivel—es decir, la selección que ocurre a niveles de organización superiores, como el organismo e, incluso, el grupo. Si acudimos a la selección multi-nivel, y al nivel de análisis que nos concierne, podemos observar, de una forma muy parecida a como lo hace E.O. Wilson respecto a sus hormigas, que los humanos son incapaces de reproducirse y de sobrevivir hasta la edad reproductiva sin un grupo. La coordinación de las hormigas es en parte el resultado de su interesante constitución genética (haplodiploidia). La coordinación humana no. Los problemas centrales para los evolucionistas humanos son los detalles sobre los orígenes y el mantenimiento de la coordinación (la integración de diferentes elementos de personas, actividades y cosas en una operación armoniosa). Este es otro nivel de análisis. No excluye a los genes, pero tampoco se centra en los genes. Personalmente creo que los orígenes de la coordinación son mucho menos excitantes que la evaluación de costes y beneficios. Los orígenes pueden estar simplemente en el hecho de que los grupos de parentesco no se dispersaban. 5. ¿Cómo hemos llegado hasta aquí? ¿Cree que nuestra evolución se detuvo en el Pleistoceno? ¿Somos seres con cerebro de la edad de piedra viviendo en un ambiente para el que no estamos adaptados? ¿Existe un desfase entre los mecanismos ancestrales y el actual entorno que explica algunos comportamientos inadaptativos en los seres humanos contemporáneos (por ejemplo, el "efecto Cenicienta" de Wilson y Daly)? La idea de tener un cerebro de la edad de piedra en un cráneo moderno es vívida, cómica y memorable, pero no la entiendo. Piensen en ello. Si tuviéramos una “mente de la edad de piedra”, ¿no tendríamos todavía un mundo de la edad de piedra y un estilo de vida de la edad de piedra como los chimpancés, las morsas y casi cualquier otro animal? Obviamente, lo que ocurre es lo contrario: tenemos mentes modernas en cuerpos de la edad de piedra. Nuestro cuerpo material actuando en un mundo material es uno de los mejores indicios que tenemos del pasado. Debería prestarse mucha más atención a lo que podemos aprender centrándonos en la actividad, una combinación de cuerpo, ambiente y “mente”. La psicología occidental se mueve en un dualismo mente-cuerpo, que los expertos que estudian la cognición vinculada al cuerpo (embodied cognition) están empezando a desafiar. En etología, se presta mucha atención al cuerpo y se interpreta la importancia de la actividad de los animales. Fíjense en que se analizan muchas más cosas que simplemente la “conducta”. El descubrimiento de la selección natural por parte de Darwin debe algo a la observación de la actividad corporal de los animales. 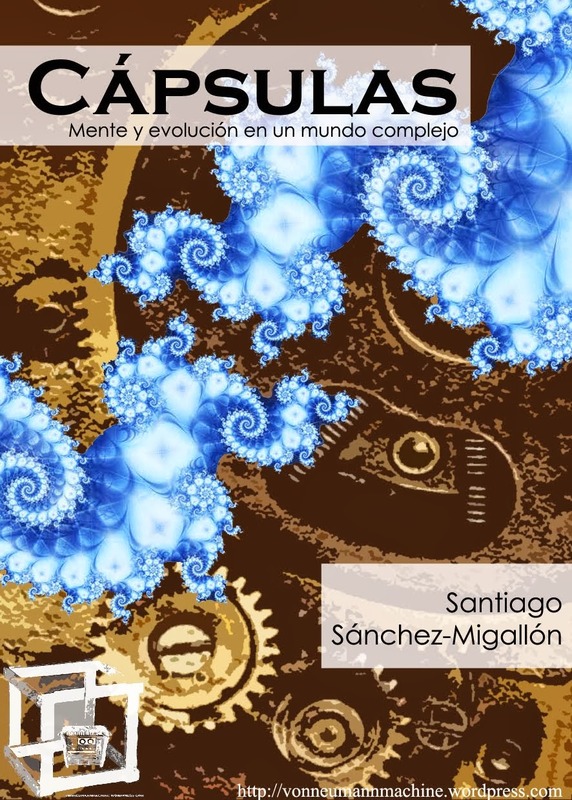 Sin embargo, los psicólogos darwinistas defienden una secuencia evolutiva como esta: “selección natural-->mecanismos psicológicos-->conducta” (Cosmides & Tooby, 1987, p.281—libro editado por Dupré, The Latest on the Best). Esto sencillamente no tiene sentido –la selección natural "no puede ver" mecanismos psicológicos, sólo puede ver cuerpos en movimiento (actividad). Quizá prestando más atención al organismo-en-situación podríamos aprender más sobre la mente. Hay por lo menos tres supuestos implícitos en la historia de la mente de la edad de piedra. El primero es que “la mente” es unitaria y evoluciona como una unidad (un supuesto curioso para los defensores de la modularidad). El segundo supuesto, relacionado con el anterior, es que las “mentes” de los homínidos de la edad de piedra funcionaban exactamente igual que las mentes prehistóricas de los humanos modernos. Algunos aspectos de la mente (por ejemplo, el miedo) pueden haber continuado no sólo desde los primeros homínidos sino desde alguna criatura ancestral diurna que puede haberse parecido más a una musaraña que a un simio; otros aspectos probablemente se han re-organizado (por ejemplo, el dolor emocional) a lo largo de diferentes escalas de tiempo, incluyendo el desarrollo del individuo, a partir de organizaciones que ahora no reconoceríamos como “dolor”. El tercer supuesto es que los genes son la explicación para cualquier estabilidad potencial a lo largo del tiempo. Incluso si admitiéramos todos los supuestos que tienen que ver con presuponer una continuidad entre el presente y el pasado y la unidad psíquica de la mente, hay otras explicaciones posibles para los rasgos estables. Por ejemplo, todo ser humano, como sus ancestros homínidos, necesita alguien que le cuide durante los primeros años de vida. "Tener alguien que nos cuide” no es un rasgo genético, pero es universal a través del tiempo y del espacio, y es una asociación que se repite constantemente en el sistema de desarrollo humano. Por tanto, algunas de las cosas que queremos atribuir a los genes podrían ser atribuibles a una constancia en la relación cuerpo-ambiente. Podemos añadir una cuarta objeción a la historia de la mente de la edad de piedra: ¿cómo podemos saberlo? No tenemos ni idea de cómo pueden haber sido las “mentes” ni siquiera hace 20000 años. El llamado efecto Cenicienta no puede considerarse como evidencia del desajuste entre el pasado lejano y el presente moderno. 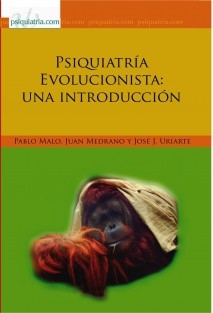 Hay un análisis muy detallado en el libro de David Buller, que es una crítica metodológica de la psicología evolucionista. Por ejemplo, hay pruebas de que cuando se lleva ante las autoridades el caso de un niño con lesiones, el hecho de que haya un padrastro o madrastra en casa contribuye a la decisión de si la lesión es resultado de maltrato infantil. Hay otra explicación alternativa muy simple del efecto, que no puede determinarse a partir del tipo de datos manejados por Wilson y Daly: ¿Qué hace el niño? Parece probable que un hijastro no recibirá con los brazos abiertos a un nuevo padre (o madre) que viene a reemplazar al anterior, o que no aceptará de buen grado que sus relaciones con la persona que le cuidaba se alteren por el cambio. 6. Desde su hipótesis de la socialidad, basada en la necesidad de coordinación y la interdependencia entre los miembros del grupo, ¿cómo se explican fenómenos tan frecuentes como el engaño, el egoísmo, el intento de aprovecharse de los demás o cualquier conducta que perjudique a otros? No hay ninguna contradicción aquí. Los conflictos interpersonales o intergrupales más agresivos también requieren un considerable grado de coordinación para llegar al lugar de la lucha, para asestar golpes en el cuerpo de otros, y así sucesivamente. La socialidad no implica prosocialidad o altruismo. Otra forma de verlo es que hay dos niveles de selección implicados, el nivel individual y el nivel de grupo. Además, hay que tener en cuenta que incluso los grupos con recursos relativamente abundantes tienen un límite en cuanto al grado de egoísmo, engaño y “escaqueo” que pueden tolerar. Se tolera un grado notable (sobre todo cuando se utiliza la fuerza), pero siempre hay un límite. 7. Una cuestión importante para cualquiera que se ocupe de explicar el comportamiento social en términos evolucionistas es la relación entre biología y psicología. ¿Cuál es su punto de vista sobre este tema? ¿Cree que las teorías psicológicas deberían tener una base biológica? ¿Es la biología necesaria o suficiente para explicar nuestros procesos psicosociales? Buena pregunta. Una vez más, si tenemos en cuenta el cuerpo y el limitado registro fósil de que disponemos, parece que la biología, la psicología y la cultura humanas están co-evolucionando, aunque las escalas y ciclos temporales difieren. Como ejemplo, consideremos los cambios corporales entre las primeras formas de la especie Homo y el Homo erectus. Homo habilis tiene un cerebro pequeño, hombros estrechos y un tronco en forma de tonel. Homo erectus—esa especie sí parece pariente nuestra: cerebro grande, hombros anchos y un tronco comparativamente fino. Una explicación convincente de este cambio de constitución es la hipótesis del “tejido caro” propuesta por Leslie Aiello. Una caza cada vez más frecuente se asocia con un acceso mayor y más regular a fuentes de proteínas, que proporcionan una cantidad de energía que puede facilitar el crecimiento del cerebro a expensas del sistema digestivo, que ha reducido sus exigencias debido a que las proteínas son más fáciles de digerir que muchos alimentos vegetales. La biología, la psicología y la cultura son parte de un paquete de cambios evolutivos conjuntos. 8. Vista desde la perspectiva de un observador, su carrera científica no ha debido de ser un camino de rosas. Por un lado, los científicos sociales la rechazarían por sus tendencias darwinistas y, por otro, los científicos evolucionistas la considerarían una traidora por atacar la sacrosanta “perspectiva del gen”. ¿Se ha sentido alguna vez excluida por sus colegas debido a sus ideas contra corriente? Me doy cuenta de lo que puede parecer desde el punto de vista de un observador, pero, sorprendentemente, me he beneficiado de colegas inteligentes y generosos de diversas disciplinas desde el comienzo de mi vida académica. Las personas que daban referencias mías para trabajar y promocionarme en la Universidad procedían sobre todo de la psicología, la biología, y la filosofía, y han tenido que convencer a los sociólogos, antropólogos, filósofos y politólogos de mi departamento. Mi trabajo tiende a centrarse más en los problemas que en las disciplinas, así que mi meta siempre ha sido lograr un alto nivel de coherencia, y eso puede contribuir a superar las diferencias entre disciplinas. 9. ¿En qué cuestiones está investigando actualmente? A estas alturas no debería ser una sorpresa: Me estoy orientando hacia la importancia del cuerpo (embodiment) y el diseño. El “embodiment” es la nueva evolución en el sentido de que es un término de moda, pero la cultura occidental ha ignorado la combinación del cuerpo-en-situación (en oposición a las partes y piezas funcionales) como parte de la separación entre cuerpo y alma o entre cuerpo y mente. Desde una perspectiva evolucionista, es fascinante porque lo que la selección natural “ve” es el cuerpo-en-la situación—no mecanismos cognitivos o partes del cuerpo (esto es nuestra estrategia analítica, no algo natural). Por tanto, ¿qué nos dice el cuerpo sobre la mente? El cuerpo nos dice algunas cosas sobre el diseño. Los palillos vienen siempre en pares; no creo que puedan venir de tres en tres debido a las limitaciones del cuerpo. Así que me pregunto si la observación del diseño y el ajuste—y los desajustes—con el cuerpo nos dice también algo sobre la mente. Cómo utilizamos la tecnología para cambiar lo que podemos hacer y cómo los seres humanos reconstruimos las posibilidades de lo que significa ser humano. Tengo también una razón prosaica para interesarme por el diseño. Me tocó enseñar la parte de ciencia social en un curso multidisciplinario de diseño, y ha sido la experiencia docente más divertida y reforzante que se pueda imaginar. 10. ¿Hay algún fenómeno sobre el que le gustaría de manera especial indagar en el futuro? Oh, sí, por lo menos unos cuantos cientos. ¿De verdad quiere una lista? Caporael, L. R. (1997). The evolution of truly social cognition: The core configuration model. Personality and Social Psychology Review, 1, 276-298. 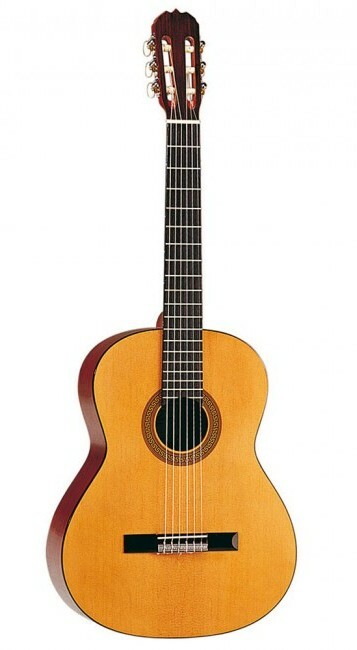 Caporael, L. R. (2001). Evolutionary psychology: Toward a unifying theory and a hybrid science. Annual Review of Psychology, 52, 607-628.Caporael, L. R. (2007). Evolutionary theory for social and cultural psychology. In E. T. Higgins & A. Kruglanski (Eds. ), Social psychology: Handbook of basic principles (3-18). New York: Guildford Press. Caporael, L. R. (2008). What does “society” look like? Biological Theory, 3, 103-107. Buller, D.J. (2006). 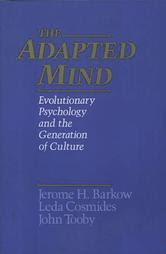 Adapting minds: Evolutionary psychology and the persistent quest for human nature. Cambridge: MIT Press. 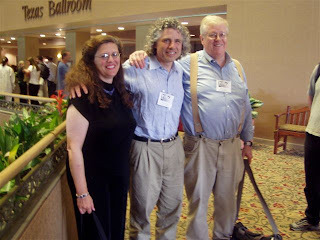 Cosmides, L. y Tooby, J. (1987). From evolution to behavior: Evolutionary psychology as the missing link. En J. Dupré (Ed. ), The latest on the best: Essays on evolution and optimality (pp. 277-306). Cambridge: MIT Press. Landau, M. (1984). Human evolution as narrative. American Scientist, 72, 262-268. Maynard Smith, J. (1987). Science and myth. En N. Eldredge (Ed. ), The natural history reader in evolution (pp. 222-229). Nueva York: Columbia University Press. Richards, R. J. (1989). Darwin and the emergence of evolutionary theories of mind and behavior. Chicago: University of Chicago Press.